The email was invented some time ago, but is still used as one of the primary forms of communication, especially in the professional world. If you go a day without checking your email account(s), let’s be real we all have more than one, then I’m not sure what you are doing. Whether it is a newsletter, daily deal, professor contacting you or job related, our emails are crucial to our existence. An art form that often goes unappreciated is the skill to craft a well articulated email. Everyone knows to check for grammar, spelling, fact checking information, and having your contact information at the bottom, but there are some other factors that should be considered. For starters, consider your voice. As aspiring PR professionals, we understand the importance of our personal brand, and this needs to extend into our emails. For those who are not familiar with a personal brand, think of it as your individual voice. How you choose to represent and articulate yourself in the professional world must also be seen in your emails. Don’t be overly formal if that is not how you want to be viewed, but also avoid slang because it can make you sound unprofessional. The best way to describe it, is to find your professional voice. You want to find a balance between your normal conversational tone and they way you would talk to your boss. Take into account your relationship with the recipient, it will dictate your tone and level of professionalism in an email. If it’s the first time I am contacting someone, I am going to have a little more formability to my voice, but if the email is with a coworker that I have known for a long time, it will be more casual, unless the topic forces a more serious approach. All emails will still be consistant with my brand. The content of the message will play a part in the level of professionalism in the email. If I need to have a serious talk with someone, the email is not going to have jokes or mask the seriousness of the issue.. I want them to know that when they come and talk to me, we will be discussing real business. If I’m just setting up a ‘lunch date’, the formality is going to be similar to a text message. The email is a tricky beast to conquer. Articulating exactly what you want and need to say, both explicitly and implicitly, is a skill that takes time to master. Some people have a much harder time finding the balance, but practice makes perfect. Find excuses to write emails to people, and practice your own professional voice with friends and family. People can see the level of effort put into an email. Just remember to use your voice, and don’t spell the person’s name wrong. 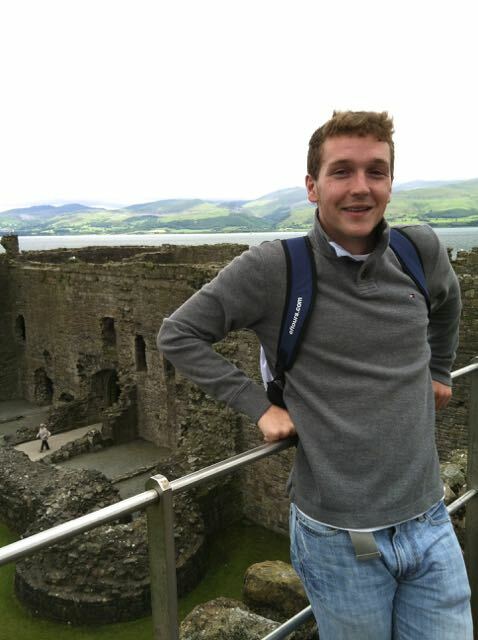 Austin Ambrose is a Junior studying Journalism with World Religions and English minors. Follow Austin on twitter @tex_ambrose7!